Widespread reliance on artificial intelligence, a common theme in speculative fiction, is closer than many might believe. This rather macabre image – acrylic paint on canvas which has been scanned and photoshopped – depicts an automated manufacturing process for synthetic faces believed to be inert until integration. This editorial highlights recent developments and trends in the field of Artificial Intelligence (AI) & Law, including development of computational models of legal argument, rule-based expert systems, information retrieval systems, and the building of practical applications. The IP Enforcement Directive (Directive 2004/48/EC on the Enforcement of Intellectual Property Rights, dated 29 April 2004) was transposed into Portuguese law in 2008 after almost two years of delay, and it brought several major changes to the regulation of copyright and industrial property. To understand the legislative options chosen, it is vital to understand how the legislative process took place. Unfortunately not everything went well during the process, a fact which has had great significance to the final form of the law. Having reference to the Directive, this article analyses the solutions adopted by the Portuguese law, examining in particular the matter of provisional and precautionary measures, focusing on the presumption of authorship or ownership. It will also address topics, such as evidence and the right to information. Through the new Portguese approach, authors now have some new measures to deal with IP infringements (eg: it is now possible to protect it provisionally and precautionally); however, it is time for the courts to take their place in creating an even better IP protection system. Incidents of identity fraud are increasing in scope and variety and can be regarded as a global problem. Understanding the problem properly demands a general description of identity fraud. An extensive review of the literature shows that there is no such general description, although it would contribute to the development of a structural and cooperative approach among relevant stakeholders (states, IGOs, private enterprises, NGOs) in Europe and elsewhere to combat identity fraud. This article reports on a research project that has been carried out by Dutch authors. It consisted of an analysis of literature in the Netherlands, the USA, the UK, France, Belgium and the European Union. Some 30 definitions were analysed with an aim to formulate a general definition of identity fraud. Formulating such a definition enabled a subsequent analysis into the extent to which identity fraud is covered by existing legislative measures and the necessity or desirability of introducing new legislative measures. The grant of a patent is not a reward. Rather it is an opportunity for the patent owner to pursue profits using the patent monopoly to exclude competition. Profit-maximising patent owners focus their monopoly powers on markets in which profits are the greatest. In the case of patents over medical products this leads to well known problems of access to medicines for poor people. The costs and abuses of the patent system in the pharmaceutical sector have been persistent and known for a long time, as John Braithwaite’s magisterial 1984 study, Corporate Crime in the Pharmaceutical Industry vividly illustrates. The failure to do anything substantial about these costs and abuses is a function of the power of pharmaceutical transnational corporations (TNCs) and US and EU hegemony over standard-setting in the international patent framework. The Canadian Intellectual Property Office’s (CIPO) publication entitled, Office Practice Regarding the Patentability of Fertilized Eggs, Stem Cells and Tissues, is examined with respect to the patentability of totipotent cells. It is conjectured that its position against the patentability of totipotent cells is based upon a mistaken view of animal development and stem cell differentiation called “genetic preformationism.” This view holds that the DNA in a totipotent cell is the sole determinant of development and differentiation so that a totipotent cell containing the DNA of a higher life form is a higher life form. It ignores the fact that modern biologists have recognised an increasingly important role for non-genetic, environmental factors in both animal development and stem cell differentiation. Given that the CIPO’s views on development and differentiation are incorrect and the process of developing the Notice lacked transparency, justification and intelligibility, it cannot justifiably reject an application for a patent on a fertilised egg or totipotent stem cell on the basis of the reasons given in the Office Practice Regarding the Patentability of Fertilized Eggs, Stem Cells and Tissues. This paper suggests that there are legal, practical and scientific limits of the ability of the CIPO, like other patent offices, to apply patent legislation wisely to fundamentally new technologies. The famous saying that “Your freedom ends where my nose begins” may, in the electronic era, be transformed to mean “Your freedom ends where my ‘Network’ begins”. The progression into an e-literate society in which the electronic medium is used to transact all forms of business – including government (e-governance) – has greatly increased the need to protect the privacy of the individual from invasions not only by the State, but also from others who seek to profit from such intrusions. This paper probes into the latest trends in modern technology and analyses the existing legal framework in Sri Lanka and India in support of the argument that the right to privacy must be guarded as a constitutional right. Korea has experienced a brief period of high turnover of ideas and reform proposals in the medical law field, which is undergoing a significant transformation in both the clinical and research settings as a result of technological innovations. Just as it seemed a new research regime had been agreed through the combination of the Bioethics and Biosafety Amendment Bill, and the Reproductive Cells Utilisation and Supervision Bill, politics intervened. These proposals, were abandoned and the ‘wholesale amendment’ of a legal regime that had failed so dramatically to curb the excesses and dishonesty of the ‘Hwang era’ was abandoned with them. 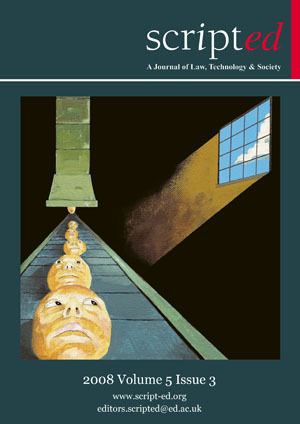 This analysis piece examines the new Bioethics Amendment Bill (Draft 17-8353), which was immediately thereafter introduced and adopted in Korea, and it considers whether the conclusions reached in the authors’ previous article in this journal – “A Tale of Two Standards: Drift and Inertia in Modern Korean Medical Law” – are still supported in the new medical research setting. Indian patent practice and jurisprudence with respect to biological materials (including antibodies) is relatively new and thus not well-settled and/or uniform, unlike in the USA or Europe. In these circumstances, presenting a concrete picture re patenting of monoclonal antibodies in India is not feasible at this stage. Notwithstanding this constraint, this analysis presents various techno-legal issues that arise and which need to be addressed – vis-à-vis patenting of biotechnological inventions. Like any other field of invention, biological materials – such as therapeutic antibodies against a protein or genetic sequence – are generally considered patentable and qualify as an invention in India so long as such antibody gene sequence(s) or amino acid sequence(s) are (1) novel, (2) involve an inventive step, and (3) are capable of industrial application. However, notwithstanding compliance with these three cardinal requirements, an isolated biological material in contradistinction to a modified (genetically or otherwise) biological material is still considered prima facie not to fulfill the requirement of patentability by the Indian Patent Office (IPO). In short, merely discovered (isolated) antibodies are considered not to constitute patentable subject matter per se by the IPO even though such antibodies are identified by the specific functions they are capable of facilitating or carrying out. Conversely, if a biological material is one which has been (genetically) modified (preferably through substantial human intervention), it fulfils these requirements, and will likely be regarded favourably by the IPO. In fact, subject also to the satisfaction of the other technical and formal requirements laid down by the Patent Act 1970, such biological material will have a reasonable chance of qualifying as patentable subject matter.